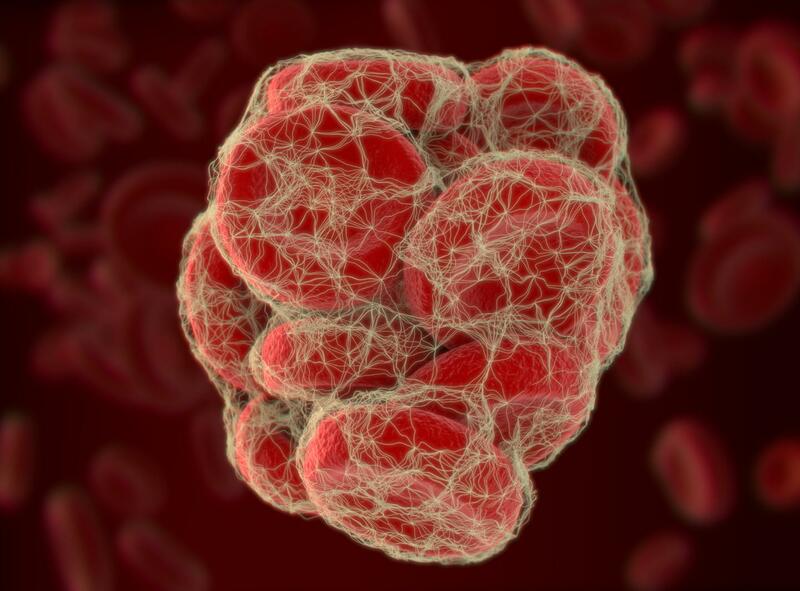 A new study by researchers at Intermountain Healthcare in Salt Lake City has found that patients with low-risk blood clots may be better off receiving treatment at home versus being admitted to the hospital. <p>For the study, published in the journal <em>CHEST</em>, researchers tracked 200 patients who were treated for acute pulmonary embolisms or serious lung blood clots in five Intermountain Healthcare emergency departments, including Intermountain's Level I trauma center, Intermountain Medical Center, from 2013 to 2016. Through a series of tests including echocardiograms and ultrasounds, the patients were determined to have a low risk of developing severe complications from the blood clots. </p>    <p>Instead of being admitted to the hospital, patients were given an outpatient management strategy, which included steps like an oral anticoagulant or blood thinner, and/or blood thinner injections administered at home, and close follow up in clinics.</p>    <p>The patients were then tracked for 90 days. Researchers found that only one out of 200 patients enrolled in the study had any follow-up incidents that required hospitalization, and that patient's hospitalization was the result of an accident. The study also found that patients were much more satisfied with at-home care. </p>      <p>&quot;We found a large subset of patients with blood clots who'd do well at home - in fact who probably did better at home,&quot; said Joseph Bledsoe, MD, research director in emergency medicine at Intermountain Medical Center. &quot;When patients are sent home versus staying in the hospital, they're at lower risk of getting another infection. It's a lot less expensive, too.&quot; </p>      <p>Currently, the standard of care in the United States for acute pulmonary embolisms, which affect more than 200,000 patients in the U.S. annually, is hospitalization for all patients. That's recommended, in part, because their overall mortality rate is 17 percent. </p>    <p>However, the lower mortality rate among some appropriately risk-stratified patients suggests that at-home care, which has become the norm in some European countries, leads to better outcomes for those patients overall and less chance of a hospital-introduced infection, said Dr. Bledsoe.</p>      <p>&quot;Our findings show that if you appropriately risk stratify patients, there are a lot of people with blood clots who are safe to go home,&quot; he said. </p>    <p>Dr. Bledsoe says the next step for researchers is for similar research to be conducted outside of the Intermountain Healthcare system to confirm the results, and with a larger group of people. </p>  <p>###</p>  <p>This study was made available online in February 2018 ahead of publication in the print edition of <em>Chest</em> this month. Members of the Intermountain Healthcare research team include: Scott Woller, Scott Stevens, Todd Allen, Valerie Aston, Richard Patten, Lydia Dong, James Lloyd, James, Benjamin Horne, Troy Madsen, and Greg Elliott.